Balligavi is very rich in its wealth of inscriptions. More than eighty inscriptions of this village have been published in various articles. Majority of these have been published in Epigraphia Carnatica, vol VII, Shimoga, part I. On a stone to the north of the gateway of Vanakehondada Basappa’s temple – Epigraphia Carnatica, vol VII, no 154 of Shikarpur – dated about 685 CE – refers to the reign of the Badami Chalukya king Vinayaditya – The inscription refers to Pogili-Sendraka-maharaja who was ruling the Nayar-khanda and Jelugur government. Kandarbo, being an official, granted the property without heirs in some festival. On a stone in Aridre-mathada Channappa’s backyard – Epigraphia Carnatica, vol VII, no 125 of Shikarpur – dated 1019 CE – refers to the reign of the Kalyana (Western) Chalukya king Jayasimha II – The inscriptions tells that one less than sixty Chalukya kings have set upon the throne in Ayodhya-pura with great glory. After those kings in Ayodhya, the genealogy starts with the kings in Karnataka. The first one is Tailapa-deva (Tailapa II) who is said to be very eager to war with Cholas. He is said to have driven out the Rattas and took possession of the Chalukya crown. Next in line was Satyasraya. Then is mentioned Jayasinga, who is praised as a sun to the king of lotuses to king Bhoja, and the king of beasts to the elephant Rajendra-chola. Maha-mandaleshvara, boon lord of Banavasi-pura, obtainer of a boon from Chamunda, Kundamarasa was ruling Banavasi-12000, Santalige-1000 and Hayve-500. While he was in the residence of Balipura, he repaired the temple of Mulasthana Nandikesvara and made some grants, washing the feet of Muliga-Sivasakti-pandita. On a stone set up in the right of Kallesvara temple – Report of the Mysore Archaeological Department for the year 1929 – This inscription has two grants, one from the reign of the Kalyana (Western) Chalukya king Jayasimha II (Jagadhekamalla) and another from the reign of the Kalyana (Chalukya) king Vikramaditya VI – the first grant is dated Saka 947, corresponding 1025 CE and the second grant is dated in the 6th Chalukya Vikrama year, corresponding 1081 CE –The Chalukya king, Jagadhekamalla, was ruling the city of Moliganur. It further mentions that on the representation of Kundaraja, lord of Banvasi, were granted for the services of offering sandal-paste, lights, incense, food to god Kalidevesvara-svayambhudevar and for the repairs and improvements of the temple, some land and a flower garden, washing the feet of Sivasaktipandita, who was a trustee of the temple, and the chief of Kalamukhas. The inscription further tells that king Jayasimha repelled the attack of Madurantakachola and made him flee to Kanchi. His son was Trailokyamalla Ahvamalla. His son was Bhuvanaikamalla Somesvara. His younger brother was Vikramaditya and his younger brother was Jayasimha, who is referred as Trailokyamalla Vira Nolamba Permanadi. Tambadandadhinatha was helping the king is his wars against Kanchi, Kerala, Malava, Khasa, Karnata, Andra, Vanga, Dravila, Magadha, Nepala, Kalinga, Panchala, Surastra etc. Tamba made the Seunas bend down before him and faught against the Cholas. Tamba was ruling Santalige-1000, Mandali-1000, Jiddulige-70, Nagarkhanda-70, Mugunda-12 from his capital city at Balligavi. Tamba, in the 6th Chalukya Vikrama year, washing the feet of Rudrasaktipandita, disciple of Sivasaktipandita, made grants for offerings, lights, incense and food to god Kalidevesvara-svayambhudevara. On a stone near Panchalinga Temple – Epigraphia Carnatica, vol VII, no 126 of Shikarpur – dated 1036 CE – refers to the Kalyana (Western) Chalukya king Jayasimha II – It is told that in order to obtain the great wealth, Pandavas commenced the world-astounding Rajasuya sacrifice. Then went to Vibhishana, and taking from there articles and tribute, while returning, arrived at Balligave, and the five set up five lingas. Jayasimha-deva was in the residence of Pottalakere. Vadi-Rudragana-Lakulisvara-pandita is praised and said to made some grants for the Pancha Linga temple at the Kalamukhi Brahmachari-sthana of Balligave, the royal city of Banavasi-12000. On a stone in burial ground – Epigraphia Carnatica, vol VII, no 153 of Shikarpur – dated 1039 CE – refers to the reign of the Kalyana (Western) Chalukya king Jayasimha II – The king Jayasimha is referred as Jagadekamalla. A certain ….singa-deva was in the residence of Ghattadakere, making the temple of Siddesvara of Benakanakola, made some grants washing the feet of Kriyasakti-pandita-deva. At the bottom of the Gandaberunda pillar – Epigraphia Carnatica, vol VII, no 151 of Shikarpur – dated 1047 CE – refers to the reign of the Kalyana ( Western) Chalukya king Somesvara I – The king is referred as Trailokyamalla in the inscription. Maha-mandalesvara, boon lord of Banavasi-pura, obtainer of a boon from Mahalakshmi, Chamunda-Rayarasa was ruling Banavasi-12000, Santalige-300 and Hayve-500. He erected a ganda-berunda pillar in front of the god Jagadekamallesvara, washing the feet of Anantasivacharya, made a grant of land for god Berundesvara. On a stone near Somesvara Temple – Epigraphia Carnatica, vol VII, no 120 of Shikarpur – dated 1048 CE –refers to the reign of the Kalyana (Western) Chalukya king Somesvara I who in inscription is referred as Trailokyamalla-deva – Maha-mandaleshvara, boon lord of Banavasi-pura, obtainer of a boon from Mahalakshmi, Chamunda-Rayarasa was ruling over Banavasi-12000. On the specified day, in the royal city of Balligave, to provide for worship at the basadi of Kesavanandi-ashtopavasi-bhalara, disciple of Meghanandi-bhattaraka of Balagara-gana connected with Jajahuti Shantinatha, made some grants. It was also said that in the Banavase country, Jina habitation, Vishnu habitation, Isvara habitation and habitation for the muni gana were made by order of Raya. On a stone to the right of the doorway of the Somesvara temple – Epigraphia Carnatica, vol VII, no 118 of Shikarpur – dated 1054 CE – refers to the reign of the Kalyana (Western) Chalukya king Somesvara I who in inscription is referred as Trailokyamalla – Mention is made of king Ahvamalla (who should be same as Trailokyamalla) and his prowess including Chola, Kalinga, Panchala, Magadha, Malava, Kerala, Nepala, Konkana, Male. Then mention is made of Trailokyamalla’s achievements. In the middle of the immemorial city, the royal city Balligrame, senior merchant Halikabbe’s son Sovi-Setti set up a linga, and giving it name Abhinava-Someshvara-deva, for the bathing of the god, offerings, perpetual lamp and the food for Acharya, granted certain land. Another inscription follows the above one, this inscription is dated 1150 CE and mentions that the above temple was falling to ruins. In the presence of Mechi-Setti, Kirtti-Setti, all the nagaras and the five mathas, of Muliga-Madhukeshvara-pandita-deva (priest of the hiriya-matha Bherundeshvara), Sarbbeshvara-pandita-deva (priest of the Pancha linga), Jnanasakti-deva (priest of Tripurantaka), Mahadeva-Setti taking this in hand as a work of merit gave to that god the name of Gavareshvara and repaired the temple. A big paragraph details about the merchant community and places visited by them. Among these places mention is made of Chera, Chola, Pandya, Maleya, Magadha, Kausala, Saurastra, Dhanushtra, Kurumbha, Kamboja, Gaula, Lala, Barvvara, Parasa, Nepala, Ekapada, Lambakarnna, Stri-rajya and Gholamukha. On the sula-brahmayyana-kallu in Kittadahalli Channa-Basappa’s backyard – Epigraphia Carnatica, vol VII, no 152 of Shikarpur – dated 1060 CE – refers to the reign of the Kalyana (Western) Chalukya king Somesvara I who in inscription is referred as Trailokyamalla – it is told that son of the king Trailokyamalla, Chalukya-ganda-Permmanadi Vikramaditya-deva was ruling Gangavadi-96000. On Ballavarasa paying a visit to the Panungal fort, Kadamba Satyasraya-deva was ruling Kananur, Tuluva Chandiga saying, “I will not let grow my finger,” – Ballavarasa and Satyasraya-deva making a grant of the Banavase fort and a temple endowment – cutting off the finger, climbing to Berundesvara, leaped upon the point of a spear, gained the world of gods. On another stone in Balli-kadappa’s field – Epigraphia Carnatica, vol VII, no 170 of Shikarpur – dated 1065 CE – dandanayaka Rupa-bhattayya caused to be made the Jayanti chief Bauddha vihara in the celebrated Balligave. And to provide for worship of Tara Bhagavati and for gods Kesava, Lokesvara and Bauddha, and for temple repairs made certain land grants. On a stone in Balli-kadappa’s field – Epigraphia Carnatica, vol VII, no 169 of Shikarpur – dated 1067 CE – refers to the reign of the Kalyana (Western) Chalukya king Somesvara I who is referred as Trailokyamalla and Ahavamalla, ruling the kingdom from Kadaravalli. A bee at his lotus feet was Sahavasi Hampa-chatti, and his wife was Nagiyakka. In the celebrated Balligave, Nagiyakka caused to be made Tara Bhagavati, and for its worship and temple repairs, making petition to the emperor, made some land grants, washing feet of Bauddha-bhalara. The senaboja Chavundamayya wrote it, and Chavundoja engraved it. On pieces of stone in the yard near the Badagiyara-honda – Epigraphia Carnatica, vol VII, no 136 of Shikarpur – dated Saka 990, corresponding 1068 CE – refers to the reign of the Kalyana (Western) Chalukya king Somesvara II who is referred in the inscription as Bhuvanaikamalla – mention is made of Jina doctrine. Trailokyamalla Ahvamalla is told to have fought against Indra, defeated him and on his giving tribute, made friends with him. On the 8th day of Chaitra Saka 990 (29th March 1068 CE, Sunday), Trailokyamalla performed the rites of supreme yoga and in the Tungabhadra at Kuruvatti, the master of the world King Ahvamalla ascended to heaven. The eldest son of this king, Somesvara, on the 7th day of Vaishakha (11th April, 1068 CE, Friday), under the pushya star, in the sign of cancer, assumed the honors of the kingdom. Maha-mandalesvara, a bee at the lotus feet of Trailokyamalla, Lakshmana got Banavasi country from King Somesvara. The king extolled him stating, that junior to him is king Vikrama-Ganga Permmadi and the next junior is Vira-Nolamba-deva Singi and to all of them junior is Lakshmana. Thus Lakshmana ruled Banavasi-12000. His minister was dandanatha Santinatha, belonging to Jina creed. Then comes the mention of a poet, Sarasvati-mukha-mukura by name, who composed Sukumara-charita. Santinatha, made a petition to Lakshmana, regarding a work of merit, stating, “With lines of temples of Jina, Rudra, Buddha, and Hari, decorated with gold and jewels, Bali-nagara is well known as the place of five mathas. To describe the glory of the Jina-dharmma in this royal city, the purified by the dwellings of all the gods: – Among the many countries in Jambu-dvipa, the holiest is Bharata land, in it is the Kuntala country, in which like perpetual spring is Banavase, and in the Vanavasi country is Bali-grama, frequented by Bhavyas, and in it the Santi-tirthesa temple, praised by the god”. This temple was built of wood, and on petition from Santinatha, king Lakshmana built the temple of stone. Mention is made of Vardhamana-munindra, of Mula-sangha, Desiga-gana and Kondakundanvaya. He wrote a yantra to keep away serpents, pishacha and other awful things. Lakshmanarasa granted certain land for the Mallikamoda Santinatha temple, to Maghanandi-bhattara of Desiga-gana and Talakolanvaya. Dasoja engraved this. On a stone behind the Prabhu-deva-gaddige – Epigraphia Carnatica, vol VII, no 109 of Shikarpur – dated about 1070 CE – refers to the reign of the Kalyana (Western) Chalukya king Somesvara II who is referred as Bhuvanaikamalla – mention is made of maharajadhiraja paramesvara, boon lord of Kolala-pura, lord of Nandagiri, having the crest of a lusty elephant, obtainer of boon from Somesvara, the Ganga god of love, Vikrama-Ganga, Chalukya-Ganga-Permmadi Bhuvanaika-vira Udeyaditya-deva governing first Gangavadi and also Banavasi-12000 and Santalige-1000. His wife was Lachchala-devi. Rest of the inscription is effaced. On a stone standing against the gaddige in front of the Prabhu-deva matha – Epigraphia Carnatica, vol VII, no 110 of Shikarpur – dated about 1070 CE – refers to the reign of the Kalyana (Western) Chalukya king Somesvara II who is referred as Bhuvanaikamalla – Genealogy of the Western Chalukya kings is provided, Tailapa, followed by Satyasraya, followed by Vikramaditya, followed by Ayyana, followed by Jayasinga, followed by Ahavamalla-deva, his son Bhuvanaikamalla. Mention of Bhuvanaika-vira Ganga chakrayudha Udayaditya is made who assisted the Chalukya king in his wars. On a stone at the bund of a tank – Epigraphia Carnatica, vol VII, no 129 of Shikarpur – dated 1071 CE – refers to the reign of the Kalyana (Western) Chalukya king Somesvara II who is referred as Bhuvanaikamalla-deva – The king is said to be in the residence at Bankapura. Maha-samantadhipati Udayaditya, washing the feet of Gunagalla-yogi, made grants for bathing and offerings of the god Hariharaditya of the royal city Balligave. Gunagalla is said to have erected temple of Nagesvara and Svambhu in Kondali-nad, to the east of Tumbigere and west of Mosale-nadu. He also erected the temples of Yogesvara, Hariharaditya and Vassayana at Balipura. On the southern bank of the Kiru-dore (little river), at Mattur, belonging to Kuruvatti, he created the Siddha-tirtha. Pratikantha Kamaraja wrote the inscription. On a stone to the south of the Kalamma Temple – Epigraphia Carnatica, vol VII, no 132 of Shikarpur – dated 1072 CE – refers to the reign of the Kalyana (Western) Chalukya king Somesvara II who is referred as Bhuvanaikamalla – On application of Udayaditya-dandadhinitha, a grant was made to the same god, washing feet of Purnnananda-bhattaraka. On the step of Jiddikere near Panchalinga Temple – Epigraphia Carnatica, vol VII, no 128 of Shikarpur – dated 1075 CE – refers to the reign of the Kalyana (Western) Chalukya king Somesvara II who is referred as Bhuvanaikamalla-deva – it is told that the king was in his residence at Bankapura. The inscription talks about some grants but much effaced. On a second stone at the bund of a tank – Epigraphia Carnatica, vol VII, no 130 of Shikarpur – dated 1075 CE – refers to the reign of the Kalyana (Western) Chalukya king Somesvara II who is referred as Bhuvanaikamalla – Chalukya genealogy is provided, starting with Tailapa, followed by Satyasraya, Vikramaditya, Ayyana, Jayasimha, Trailokyamalla, Bhuanaikamalla. Mention is made of a servant to that king, Bhuvanaikavira, the Ganga Chakrayudha, rajadhiraja Udayaditya. He is said to be ruling Banavasi-12000, Santalige-1000, Mandali-1000 and eighteen agraharas. While he was in the royal city of Balligave, to perform a work of merit, he made few grants for the god Narasimha of the temple above the bank of the Pergatta of the royal city Balligave, washing the feet of Purnananada-bhattaraka. On a broken Jain idol in Channa-Basavayya’s field – Epigraphia Carnatica, vol VII, no 134 of Shikarpur – dated about 1075 CE – Munichandra-deva from Chitrakutamnayad-avali, is told to be connected to Santinatha-deva of Malava, from Balotkara-gana. His disciple Anantakirti-deva made a grant to heggade Kesava-deva. On a stone near the Badagiyara-honda – Epigraphia Carnatica, vol VII, no 124 of Shikarpur – dated to second Chalukya Vikrama year, corresponding 1077 CE – mention is made of Jinendra sasana. Inscription refers to the Kalyana (Western) Chalukya king Tribhuvanamalla Vikramaditya VI, who is said to be born in Satyasraya-kula and an ornament in the Chalukya line. He was at his residence at Etagiri. Dandanayaka Barmma-devarasa was ruling over Banavasi-12000 and Santalige-1000. He was in the royal city of Balligave when Pratikantha-Singayya commenced a discourse. Listening to it, Barmma-deva made some land grants to the god of the Chalukya-Ganga-Permmanadi Jinalaya which the king had made in the royal city of Balligave when he was a prince. The priest of the temple was Ramasena, of sri-Mula-sangha, Sena-gana and Pogari-gachchha. Gunabhadra-deva’s disciple Chavundamayya wrote the inscription. On the fifteenth stone in the enclosure of Kedareshvara Temple – Epigraphia Carnatica, vol VII, no 107 of Shikarpur – dated 1078 CE – refers to the Kalyana (Western) Chalukya king Vikramaditya VI, who is referred as Trailokyamalla’s son Tribhuvanamalla Vikramaditya-deva in the inscription. His younger brother was Jayasimha. Then comes the praise of the Nolamba king with whose aid the seven Konkana came under the Chalukya emperor. When Tamba-chamupa was governing the Santalige-1000, some grants were made to Kedareshvara temple. The temple’s Acharya was Valmiki-muni who is said to be a hand of Lakula. His guru was Rudrabharana, his guru was Kedarasakti-munipati. He belonged to Muvara-koneya-santati of Sakti-parshe. On a stone lying on the bund of the Allihonda – Epigraphia Carnatica, vol VII, no 91 of Shikarpur – dated 1078 CE – refers to the reign of the Kalyana (Western) Chalukya king Vikramaditya VI, who is referred as Tribhuvanamalla – Genealogy of the Kalyana Chalukya kings is provided. The king was at his residence in Etagiri. Maha-samantadhipati Barmmadevarasa made some grants for god Mallikarjuna established by pujari Singana at the royal city of Balipura. On a stone on the bund of a pond – Epigraphia Carnatica, vol VII, no 111 of Shikarpur – dated about 1080 CE – refers to the reign of the Kalyana (Western) Chalukya king Vikramaditya VI, who is referred as Tribhuvanamalla – maha-mandaleshvara Gundamarasa was ruling several villages in Banavase-nad. He, after paying obeisance to the God Sarvvesvara of Barahakodi, being filled with emotion, made grants for the bathing and worship of god. Another stone in front of Sita temple in Sitekona – Epigraphia Carnatica, vol VII, no 166 of Shikarpur – dated in the thirteenth regnal year of the Kalayana Chalukya king Vikramaditya VI, corresponding 1092 CE – Great minister Devappaya-nayaka of Chavundahalli in Keladi-96 and his grandson Chavendarasa, for the purpose of feeding two brahmans at both ekadashis from the 24 of the god Jalasayana, made certain grants. His son Mailugi-deva, to provide jasmine flowers twice for the head of god Jalasayana, made some grants. On a viragal to the west of the entrance of Kedareshvara Temple – Epigraphia Carnatica, vol VII, no 90 of Shikarpur – dated in the fifteenth Chalukya-vikrama year, corresponding 1093 CE – Haleya-nayaka’s nephew Ko…ya-Nayaka slew may and gained the world of gods. On the fourth stone in the enclosure of Kedareshvara Temple – Epigraphia Carnatica, vol VII, no 94 of Shikarpur – dated 1094 CE – refers to the reign of the Kalyana (Western) Chalukya king Vikramaditya VI, who is referred as Tribhuvanamalla – praise of Shambhu and Varaha. Kedarshakti-munipati was praised as reckoned as the great chief of the Shakti-parishe, an ornament to the Muvara-koneya-santati of Parvvatavali. His chief disciple was Srikanta-pandita. He is praised to be Lakulisha in the world. His disciple was Someshvara-pandita-deva, the Acharya of Nakhreshvar of Tavaragere. He made a grant for the services and decoration of the god, for repair of the temple, for gift of food to students and ascetics. On a stone in the Chauki-konda of a matha – Epigraphia Carnatica, vol VII, no 114 of Shikarpur – dated about 1096 CE – refers to the reign of the Kalyana (Western) Chalukya king Vikramaditya VI, who is referred as Tribhuvanamalla – genealogy of the Chalukya kings is mentioned, starting from Tailapa, followed by Trailokyamalla, followed by Tribhuvanamalla Vikramaditya-deva. His general Kalidasa is mentioned with praises. His junior uncle Sarvva-Deva-dandadhipa was also mentioned. The spiritual descent of his guru is mentioned : In the line of the emperor of Kalamukha munis, the heavenly sear Kashmira-deva, was Trilochana-munindra. His senior disciple was Varesvara-deva. Through the teachings of Varesvara-deva, Sarvva-deva caused to be made as an ornament to the famous Tripurantaka in Valligrama, a temple of Savvesvara. Grants were made on the occasion. On the fourteenth stone in the enclosure of Kedareshvara Temple – Epigraphia Carnatica, vol VII, no 106 of Shikarpur – dated 1098 CE – refers to the reign of the Kalyana (Western) Chalukya king Vikramaditya VI – Maha-samantadhipati, maha-prachanda-dandanayaka Bbivanayya is said to be worshipping the lotus feet of the Chalukya king Tribhuvanamalla (Vikramaditya VI). Minister Padmanabhayya was ruling Banavasi-12000 with its royal city at Balligave. This royal city is described as “with clusters of lotus, with swarms of bees, with mango groves filled with beautiful swans, parrots and cuckoos, surrounded with climbing betel vines, areca palms, bignonias, and muchukunda, – Balligave was like the twining curls of the lady the Kuntala country.’ King Kantu begot five sons from his wife Chikakabbe. Those were Bammadevarasa, Nagadevayya-nayaka, Tikarasa, Lokarasa and Jogarasa. Lokarasa and Jogarasa, set up the gods Lokeshvara and Jogeshvara to the north of Tavaregere (or lotus tank), south of the royal city Balligrame. In presence of various townsmen, including the Acharya of the senior matha Berundeshvara Gaula-pandita-deva, the Acharya of Pancha-linga Srikantha-pandita-deva, the Acharya of Tripurantaka Chaturanana-pandita, the Acharya of Mulatshana and the five mathas Muliga-Honneya-jiya, the savasi of the Baudhha temple Nagiyakka, donated lands to the gods for offerings, food for the priests and lamps. On a slab in the pavement of Tripurantaka temple – Report of the Mysore Archaeological Department for the year 1929 – Not dated, can be put to 11th century CE – The inscription registers a gift of a plot of wet land in the west of Ballakhadeya to Padmavati, a dancing girl of the Tripurantaka temple at Balipura. The donor is Trilochanapandita, a shaiva priest, who seems to be in charge of the temple. The engraver of the grant is named Lajeya Muda. On a second stone in the Chauki-konda of a matha – Epigraphia Carnatica, vol VII, no 115 of Shikarpur – dated in twenty-seventh Chalukya-vikrama year, corresponding 1103 CE – Maha-mandaleshvara, boon lord of Kolala-pura, obtainer of a boon from Padmavati, rajadhiraja Permmadi-deva. Mallayya Kariyaya-nayaka’s son-in-law Bibaya-nayaka, leaving Haruvanahalli, besieged Kedara, and fighting with the Bedar Aybarasa, slew him and gained the world of gods. The victor gains spoil, the slain too, the celestial nymphs, what fear then of death in war to him for a moments seek the close encounter? On the sixth stone in the enclosure of Kedareshvara Temple – Epigraphia Carnatica, vol VII, no 97 of Shikarpur – dated 1103 CE – (on the date specified) for their having erected the mandapa of the god Kedara within the contract time, the raja-guru deva being pleased, made a grant of 150 kamma of rice land of Kiru-Balligave to Bisadoja, Chavoja and Singoja. He also granted to them Siruvolal in Beduge-70, with enjoyment for three generations. On the seventh stone in the enclosure of Kedareshvara Temple – dated twenty-seventh Chalukya vikrama year, corresponding 1103 CE – refers to the reign of the Kalyana (Western) Chalukya king Vikramaditya VI – mention is made of Anantapala, maha-samantadhipati, maha-prachanda-dandanayaka, a moon to the water lily the Lata-kula. Anantapala received two six hundreds and Banavasi-12000 together. A dweller at his feet was Govinda. His younger brother was Mukunda. Dasiraja was born to Kesiraja and Nilabbe. To Dasiraja and Somambike was born Govinda and Mukunda. Then comes the mention of Kedarashakti-yatipati, the great chief of Shakti-parishe and an ornament of the Muvaru-koneya-santati of Parvvatavali. His disciple was Srikantha. His disciple was Someshvara-suri. Govinda washing feet of Someshvara-pandita, the Acharya of the southern Kedareshvara of Tavaragere of Balligave, made a grant for incense, lights and offerings to the god. On a third stone at the bund of the above tank – Epigraphia Carnatica, vol VII, no 131 of Shikarpur – dated 1104 CE – refers to the reign of the Kalyana (Western) Chalukya king Vikramaditya VI, referred as Tribhuvanamalla – the king is said to be at his residence in Kalyana. Maha-samantadhipati Anantapala-chamupa was ruling over Banavasi-12000, Belvala-300, Puligere-300. Govinda-raja was the governor of Banavasi-12000. His minister of peace and war was Isvarayya-nayaka. Isvaryya-nayaka, to perform a deed of merit, purchased a land and granted that to god Narasimha above the tank of Perggatta to the north of Balligave with knowledge of the townsmen, of the five mathas, and of dandanayaka Govindarasa. On a virakal in Patel Garjina Channa-Virappa’s garden – Epigraphia Carnatica, vol VII, no 141 of Shikarpur – dated 1110 CE – refers to the reign of the Kalyana (Western) Chalukya king Vikramaditya VI, referred as Tribhuvanamalla – by order of the senior dandanayaka Anantapala, dandanayaka Govindarasa was ruling Banavasi-12000. By his order, when the cows of Balligrame were harried, Kaniya-Revayya-nayaka fought, slew many, recovered the cows and gained the world of gods. On the eighth stone in the enclosure of Kedareshvara Temple – Epigraphia Carnatica, vol VII, no 99 of Shikarpur – dated in the thirty-seventh Chalukya vikrama year, corresponding 1113 CE – refers to the reign of the Kalyana (Western) Chalukya king Vikramaditya VI – mentioned that shashana of Lakulisa is supreme and revered by the three worlds. The king, glory of the Satyasraya-kula, is said to be reigning from Kalyana. Then comes reference of the Pandyas, born in Chandra-vamsa (lunar race). Then comes reference of Jamadagni, and his son Parashurama from his wife Renuka. It is said that Parashurama obtained seven Konkana as his adobe after displacing the ocean by tip of his arrow. Sisugali is said to be a jewel in a necklace to the country Konkana. A king named Chandra was born to that Pandya race. His wife was Kammala-devi. To them was born Kama who was married to Bhagala-devi. To this couple was born Chandra. His wife was Savala-devi. To that Chandra and Savala-devi was born Kama. This Kama is referred as Tribhuvanamalla-Kama-Devarasa and said to be the boon lord of Gokarna-pura, protector of Konkana-rashtra and bearing the lotus feet of Tribhuvanamalla-deva (Vikramaditya VI). Thereafter is mentioned Anantapala, the adhipati of Banavasi. Dwelling on his feet was Govinda, governor of Banavasi and younger brother of Krishna-raja. In this royal city of Balipura, the king in order to acquire the unbali land, belonging to Mechi-setti, son of Bhuvanaika-setti, the son of Mechi-setti, washing the feet of Someshvara-pandita, made a suitable arrangement and with the knowledge of the priests of the five mathas, townsmen and the three puras belonging to the great city of Balligave, bought 110 kamma, free from all objections. Priests of the five mathas were, Santashiva-pandita, the Acharya of piriya-matha; Kriyashakti-pandita, the Acharya of Panchalinga; Kriyashakti-pandita of Triprantaka and Ponneya-jiya of Muliga. Srikantha, the son of Kedarashakti, renowned in the Shakti-parishe of Muvara-koneya-santati of Parvvatavali, a Kalamukha was praised. His son was Someshvara. Someshvara-pandita accepted this land for the repair of the Kedareshvara temple, on the banks of Tavaragere to the south of the royal city Balligave, like the head to Banavasi-12000. The composer was Mallikarjjunaryya. On a second stone to the north of the gateway of Vanakehondada Basappa’s temple – Epigraphia Carnatica, vol VII, no 157 of Shikarpur – dated 1113 CE – when great minister Kovaiya-dandanayaka was ruling and Govindarasa, marching upon the southern Goggi, burnt Kallur, in the war, Bopeya-sahani slew many and attained the world of gods. On a stone near Sitekola – Epigraphia Carnatica, vol VII, no 137 of Shikarpur – dated 1114 CE – refers to the reign of the Kalyana (Western) Chalukya king Vikramaditya VI – Western Chalukya genealogy is defined. Started with Taila, followed by his son Satyasraya, his son Vikrama, his younger brother Dasavarmma, his son Jayasimha, his son Ahvamalla, his elder son Bhuvanaikamalla, his younger brother Vikramanka. The king was told to be in his residence at Kalyana-pura. A dweller at his lotus feet, was Anantapala and his brother-in-law was Govinda-dandadhipa. Maha-samantadhipati, forehead ornament of the Latanvaya, Govindamayya was ruling Banavasi-12000, Santalige-1000, two 600 (Puligere-300, Havye-300). When he was in the royal city of Balipura, he caused to be made an image of Vishnu reclining on serpent, he also made images of his twice twelve varies forms. On a stone near Panchalinga Temple – Epigraphia Carnatica, vol VII, no 127 of Shikarpur – dated 1118 CE – Satya[vakya] paramesvara, boon lord of Kuvalala-pura, lord of Nandagiri, having the crest of a lusty elephant, Nanniya-Ganga, Ganga-Gangeya, the Ganga-Sarbba, made a grant for the god Uma-Mahesvara of the Pancha Linga. On copper plates of Prabhu-deva matha – dated 1118 CE – From a drop of sweat from the broad forehead of Hara, in the ground under a kadamba tree, sprang Kadamba, with four long arms and an eye in his forehead. From him was born king Mayuravarma. From him came Ravivarma, from him Nrigavarma and from him Kirtivarma. In this line of kings was one Vikrama-Tailapa. In the same line came king Tailama. From him came king Kama-deva. From him came king Malla. Malla had two wives, Padmavati and Basavala-devi. From the latter he begot king Soma. He is praised as maha-mandaleshvara, boon lord of Banavasi-pura, obtainer of a boon from the god Jayanti Madhukeshvara, a sun to the lotus the Kadamba-kula, distinguished by the monkey flag and the lion crest, his body purified by the final ablutions after many horse-sacrifices, obtainer of a boon from the goddess Ajja. He established an agrahara and made grants of some villages. On the ninth stone in the enclosure of Kedareshvara Temple – Epigraphia Carnatica, vol VII, no 100 of Shikarpur – dated 1129 CE – refers to the Kalyana (Western) Chalukya king Somesvara III, referred here as Bhulokamalla – Obeisance to Shambhu. Muni Vidhyabharanaryya obtained the management of the Kedara matha. Reference is made of the Western Chalukya king Taila. His son was Sattiga, his son was Vikrama. Vikrama’s younger brother was Dasavarmma, the latter’s son was Jayasimha. Ahavamalla was the son of Jayasimha and his son was Bhuvanaikamalla. His younger brother was Permmadi-deva (Vikramaditya VI). The Malava, Chola, Gaula, Magadha, Anga, Turushka, Kalinga and Vanga kings submitted to the command of Vikramaditya. To this Vikramaditya was born Soma (Someshvara). Someshvara Bhulokamalla camped at Hulluni tirtha during his southern expedition. Then comes reference of a Kadamba chief, Taila, boon lord of Banavasi and Virata-nagari as his abode. Then is mentioned Balligave compared with Amaravati, Bhogavati-pura and Alkapura. In this city the temples of Hari, Hara, Kamalasana, Vitaraga and Buddha shine as the five mathas as five arrows in the world. To the south of this Balligave is situated a lotus pond, close to which is a temple dedicated to Nagareshvara. This Kedara temple is the southern manifestation of the Kedara mountain. Its matha shines like the Kamatha (or tortoise) as a support to all people. Then comes description of the gurus of this matha. Kedarashakti-pandita-deva was born in Muvara-koneya-santati of Parvvatavali. His disciple was Srikantha. His disciple was Someshvara. His younger brother was Vidhyabharana. This Vidhyabharana passed over the business of the matha to his senior Vamashakti-deva. The Kadamba chief made a grant, after washing feet of Vidhyabharana-deva, towards repair and feeding of ascetics of the matha. On a pillar in the main entrance of Kedareshvara Temple – Epigraphia Carnatica, vol VII, no 87 of Shikarpur – dated 1131 CE – at the time of sun eclipse the servants of tuppada bagal (or ghi gate) to the queen of Hoysala Ballala-deva, in order to provide for the offerings to the god Balleshvara, deposited a fund with the pujari Lokimayya. The Odeyars of the family of Lokimayya in succession with this payment and maintain the grant. On a stone in Kallu-mathada Channa-Basavayya’s garden – Epigraphia Carnatica, vol VII, no 133 of Shikarpur – dated 1131 CE – refers to the reign of the Kalyana (Western) Chalukya king Somesvara III, referred in the inscription as Bhuvanaikamalla – the king is said to be at the residence in Kalyana. On an order of Maha-mandalesvara Tailapa-deva of Banavasi, mandalika-Masaneyya with two settis of the royal city Balipura, the chiefs of the workers in the five mathas and the guardian of the customs duties in the Katakada-mahanagara, Gunavarmma-setti made a grant of land. On a second stone on the bund of a pond – Epigraphia Carnatica, vol VII, no112 of Shikarpur – dated 1139 CE – refers to the Kalyana (Western) Chalukya king Somesvara III, referred in the inscription as Bhulokamalla – Mention of two sculptors, Bavana and Ravana is made. They come from Gaurisa Dasa community, father Raghava, mother Ballavve, acharyas of the Kodi-matha were their religious teachers. These two, in order to clear an aspersion on their own race of the sculptors, set up an image of the god Kusuvesvara and presented that to Gautama-deva, as attached to the god Kedaresvara. Grants were made on the occasion. On the eleventh stone in the enclosure of Kedareshvara Temple – Epigraphia Carnatica, vol VII, no 103 of Shikarpur – dated to the thirteenth year of the Santara king Jagadeva, corresponding to 1149 CE – Santara kings are said to be sprung from Brahma and they got this name being free (santa) from quality of darkness, hosts of powerful enemies and fear. Among these Santara was one Ammana and his brother was Singi-deva. Ammana’s son was Taila, and his son was Kama. Kama’s wife was Bijjala-devi and from her he begot Jagadeva. This Jagadeva is praised as a moon to Jina dharma. Bijjala-devi’s sister was Chattala-devi and she was married to Vijayaditya-deva. To them was born Jayakesi, who was reckoned as the elder brother of Jagadeva. Jayakesi subdued all his enemies and ruled the seven Konkana. Singi-deva was a younger brother of Jagadeva. Jayadeva is praised as maha-mandaleshvara, boon lord of Patti-Pombuchcha-pura, obtainer of boon from the goddess Padmavati, Tribhuvanamalla Jagadevarasa. He was said to be residing at Setu and ruling the kingdom in peace and wisdom. During a dharma discourse, Bammarasa, told about the Southern Kedara to king Jagadeva. The acharyya of this Kedara-sthana was Gautamaryya, a disciple of Vidhyabharana-pandita. Hearing this, Jagadeva came to Balligave with his son and Bammarasa, washing feet of Gautama-pandita-deva, made donations for offering to the god and repairs of the temple, for food to the ascetics and for gifts of learning. On a flooring stone in front of Sita temple in Sitekona – Epigraphia Carnatica, vol VII, no 164 of Shikarpur – dated in eleventh regnal year of the Kalyana (Western) Chalukya king Jagadhekamalla II, corresponding 1149 CE – Tahuna-nayaka made certain grants for the god of Govindapura. Another stone in front of Sita temple in Sitekona – Epigraphia Carnatica, vol VII, no 165 of Shikarpur – dated in the twelfth regnal year of the Kalyana (Western) Chalukya king Jagadhekamalla II, corresponding 1149 CE – the great minister Acharasa made some grants for the god Narayana of Govindapura. On the twelfth stone in the enclosure of Kedareshvara Temple – Epigraphia Carnatica, vol VII, no 104 of Shikarpur – dated to sixth regnal year of the Kalyana (Western) Chalukya king Tailapa III, corresponding 1156 CE – the king is referred as Trailokyamalla in the inscription. Maha-mandaleshvara Bijjana-devarasa was ruling all the countries. His mahaprachanda-dandanayaka was Mahadevarasa and ruling Banavasi-12000. His minister was Mayi-devarasa, son of Ananda-bhattopadhyaya and Gaurala-devi. Mayi-devarasa is said to be at peace in the residence of the royal city Balligrame. The Southern Kedara at this village was adorned with Vamasakti-deva as its Acharya. His lineage is said to be from Muvarakoneya-santati of Parvvatavali. Gautama-munipa was a muni in this santati. His son was Vamasakti-pandita-deva. After him came Somesvararyya and after him Gautamaryya and after him Vamasakti-munindra. Bijjana made some donations at Dakshina Kedara for offerings to the god and repair to the temple. On a seventh stone to the north of the gateway of Vanakehondada Basappa’s temple – Epigraphia Carnatica, vol VII, no 162 of Shikarpur – dated in the third regnal year of the Kalachuri king Bijjala, corresponding 1158 CE – Dasimaya’s son Ketana recovered the cows of Balligrame, and gained the world of gods. On a stone on the way to Anevatte – Epigraphia Carnatica, vol VII, no 123 of Shikarpur – dated 1159 CE – refers to the Kalyana (Western) Chalukya king Tailapa III – Chalukyas are said to be sprung from the full water jar in the shining left hand of Brahma. The genealogy is started from Tailapa, followed by his son Satyasraya, followed by his younger brother’s son Vikramanka, followed by his younger brother Ayyanayya, followed by his younger brother Jayasimha, followed by his son Ahvamalla, followed by his son Somesvara, next came his younger brother Permmadi, next his son Bhulokamalla, followed by his son Jagadekamalla and next to him came his younger brother Nurmmadi Taila. Maharajadhiraja, boon lord of Kalanjara-pura, having the flag of a golden bull, a sun to the lotus Kalachuryya-kula, Sanivarasiddhi, Giridurga-malla, Nisshanka-malla, bhujabala-chakravarti, Tribhuvanamalla Bijjala-deva was ruling the earth from the ocean on the south to his northern boundary the Chalukya capital. His minister Kesiraja-dandadhisa is mentioned. Dandanayaka-Kesava was ruling Banavasi-12000. In the royal city of Balipura, Recharasa commenced a discourse on merit. Recharasa asked Kesava-dandanayaka to setup Kesavapura and in it erect a temple to the god vira-Kesava. Listening this, Kesava acquired a land in the southern quarter of Balipura from Sarvvesvara-pandita, priest of Pancha lingas established by the Pandavas. Dandadhipa Kesiraja built for god Kesava an abode filled with beauty and joy to the sight. On a large piece of land, in front of the temple, built a town and named it Virakesavapura. Mention is made of Dharmmasiva-deva, the priest of the five mathas, Muliga-Madhukesvara-pandita-deva, priest of Jagadekamallesvara of the Hiriya Matha, Sarvvesvara-pandita-deva, the priest of the Pancha Linga, Jnanasakti-pandita-deva, the priest of Tripurantaka, Vamasakti-pandita-deva, the priest of Kodiya-Matha. Another inscription dated third regnal year of the Kalachuri king Sankama, corresponding 1179 CE, follows on the same slab of stone. This inscription mentions that Karinele in the Nagarkhanda-70, which had been granted for the god Kesava by dandanayaka Kesiraja together with Edeyalkara, a village formerly granted for the god Somanatha of Bandanike, having been swallowed up – maha-mandalesvara, belonging to Gupta-vamsa, worshipper of god Galagesvara, Jogi-devarasa, with his ministers and maha-mandalesvara, belonging to Kadamba-kula, obtainer of a boon from the god Jayanti Madhukesvara, Boppa-devarasa with his ministers presented at the feet of god Kesava, made grants of land to god Kesava and god Somanatha. On a virakal near the pond of Hosa-matha – Epigraphia Carnatica, vol VII, no 139 of Shikarpur – dated 1160 CE – refers to the reign of the Kalachuri king Bijjala II – by the order of the Banavase-nad-dandanayaka Padmarasa, when Vamasakti-deva, worshipper of god Dakshina-Kedara, being seized, the Tonavatti meregara, Babeya-Nayaka, fought and attained svarga. On a sixth stone to the north of the gateway of Vanakehondada Basappa’s temple – Epigraphia Carnatica, vol VII, no 161 of Shikarpur – dated about 1160 CE – Refers to the reign of the Kalachuri king Bijjala II – the Banavasi-nad was under the government of Kariya-Kesimayya, when he marched against Bandalike, Agarakka-Naganna, doing him service, gained the world of gods. On a pillar near Anantashayana temple – Epigraphia Carnatica, vol VII, no 146 of Shikarpur – dated 1160 CE – refers to the reign of the Kalachuri king Bijjala II – for the worship of the god Gundesvara, which was setup by Hirapeya-nayaka’s son Gajjeya-sahani, in the temple built by dandanayaka-Kesimayya, talara Soveya-nayaka of Balligave made a grant. Racharasa wrote it. On the tenth stone in the enclosure of Kedareshvara Temple – Epigraphia Carnatica, vol VII, no 102 of Shikarpur – dated sixth regnal year of the Kalachuri king Bijjala II, corresponding to 1162 CE – Reference to Muni Vamashakti-muni and king Bijjala is made. Maha-mandaleshvara, boon lord of Kalanjapura, having flag of a golden bull, sun to the lotus the Kalachura-kula, Shanivara-siddhi, Giridurga-malla, Nishanka-malla, bhujabala chakravarti tribhuvana-malla Bijjala is thus praised. Kasapayya-nayaka dwells at the lotus feet of the king. With his permission, Bammarasa was ruling Banavasi-nadu. Five karunas, Sridhara-nayaka, Achana-nayaka, Chattimayya-nayaka, Malliyana-nayaka and Tikkamayya-nayaka, came for a royal inspection of Banavasi-nadu. Ravi-deva was a minister of Bammarasa. When all these united in enjoyment, during a discourse on dharma came the reference of Kodiya-matha, the place of the southern Kedara, the place for commentaries on Lakula-siddhanta. King Bijjala, having come in order to subdue the southern region, was encamped at Balligave. Then comes the descendants of the line of gurus of this matha, Vamasakti-deva was a disciple of Gautamacharyya. King Bijjala made donations for the decoration of god Dakshina Kedareshvara and for the repairs of the temple. He made donations of many villages, including few in the Pandya kingdom. On the sixteenth stone in the enclosure of Kedareshvara Temple – Epigraphia Carnatica, vol VII, no 108 of Shikarpur – dated 1164 CE – refers to the reign of the Western Chaluka king Tailapa III, referred in the inscription as Trailokyamalla – Genealogy of the Chalukya kings is given, starting from Taila, his son Satyasraya, his son Vikrama, his younger brother Dasavarmma, his son Jayasimha, his son Ahvamalla, his son Bhuvanaikamalla, his younger brother Permmadi-raya Vikramaditya, his son Bhulokamalla Someshvara. After him came Jagadekamalla, after him his younger brother Tailapa also known as Trailokyamalla. Maha-mandaleshvara, boon lord of Kalanjara-pura, having flag of golden bull, sun to the lotus of Kalachuryya-kula, Sanivara-siddhi, Giridurgga-malla, Nishanka-malla, Bijjala. Mahadeva-dandanayaka Kalidasa-chamupati was ruling the Banavasi country, an ornament to which was the great city of Balipura. One day when Mahadeva-dandanayaka was in this great city, the famous muni Kedarasakti-ishvara delivered a discourse on dharma. Hearing this, to find its meaning, Mahadeva-dandanayaka came to Vamasakti-pandita-deva, the priest of Kodiya-matha. Washing his feet, Mahadeva-dandanayaka set up in the name of his father the god Malapeshvara and made grants for it in usual manner. On the second stone in the enclosure of Kedareshvara Temple – Epigraphia Carnatica, vol VII, no 92 of Shikarpur – dated in sixteenth Kalachuri year, corresponding to 1168 CE – refers to the reign of the Kalachuri king Sovideva – Obeisance to Shiva. Mentions Keshava, the minister under king Murari of Kalachuri lineage. Then comes the prashashti of the Kalachuri king Bijjala. His son was rajadhiraja Rayamurari-Sovi-deva. Byalike Keshimayya was his minister. He is said to be ruling Taddavadi-1000, Haungal-500 and Banavase-12000. He had been visiting his country came to Balligave to see southern Kedareshvara. Seeing the god he said, “This is double of Varanasi, a hundred-fold of Kedara, a thousand-fold of Sriparvata – I must here therefore perform some works of merti, that I may obtain my objets”. He then approached the Lakulishvara Kalamukha priest of the temple, Vamashakti. He granted few villages of Hanugal-500 province for the worship, repair and feeding ascetics for the Kedareshvar Temple. On another stone in Patel Garjina Channa-Virappa’s garden – Epigraphia Carnatica, vol VII, no 150 of Shikarpur – dated fourth regnal year of the Kalachuri king Sovideva, coresponding 1171 CE – When raja-guru Vamasakti-deva’s grandson was coming to Balipura, at Saliyur junction some robbers attached him, then ….-nayaka fought, slew many and gained the world of god. On the sixth stone in the enclosure of Kedareshvara Temple – Epigraphia Carnatica, vol VII, no 96 of Shikarpur – dated 1179 CE – refers to the reign of the Kalachuri king Sankama – Rayamurari-Sovi-deva was the son of Bijjala I. Sovi-deva’s younger brother was Sankama who is said to be ruling at that time. His various ministers are mentioned, senior dandanayaka Lakshmi-deva, minister of foreign affairs Chandungi-deva, Rechanayya-dandanayaka, sarvadhikari Sovamayya-nayaka and commander-in-chief of the whole army Kavanayya-dandanayaka. All these ministers are said to be visiting Balligrame, a chief place in Banavasi-12000. The king washed the feet of the Kedareshvar temple priest, raja-guru Vamashakti-deva, made a grant of Kiru-Balligave to the temple. Maha-mandaleshvara Tailaha-deva and mana-mandaleshvara Yeraharasa also made grants. On a third stone to the north of the gateway of Vanakehondada Basappa’s temple – Epigraphia Carnatica, vol VII, no 158 of Shikarpur – dated in the third regnal year of the Kalachuri king Ahavamalla, corresponding 1180 CE – When Sovarsamaiyya-dandanayaka of Magundi besieged Tantrapala, Helala-nayaka and his son Ketama-nayaka being stationed behind him, slew many and gained the world of gods. On the ninth stone in the enclosure of Kedareshvara Temple – Epigraphia Carnatica, vol VII, no 101 of Shikarpur – dated 1181 CE – The raja-guru Vamashakti-deva and his disciple Jnanashakti-deva, will maintain the land and three houses in the town, granted on the specified date to a dancing girl, Mallave and the drummer Madiga as a temple endowment. On a stone to the right of the doorway of the Somesvara temple – Epigraphia Carnatica, vol VII, no 119 of Shikarpur – dated to the third regnal year of the Kalachuri king Ahavamalla, corresponding 1181 CE – maharajadhiraja parameshvara parama-bhattaraka, sun to the lotus the Kalachuryya-kula, Sanivarasiddhi, Giridurgamalla, Nisshanka-malla, Bijjala-deva was ruling the earth. After him came his son Rayamurari-Sovi-deva and after him Sankama-deva. After him, his younger brother, Ahavamalla ruled the throne. His minister dandanatha-Chandugi-deva is praised to have burnt the territory of the brave Vijayaditya, having taken the Chola and Hoysala kingdoms. His other ministers, dandanatha-Rechana, Sovana-chamupati and Kavana-dandanayaka were mentioned. His another minister Kesimayya-dandanayaka is also mentioned with his genealogy. During a discourse on dharma, Vamasakti-deva mentioned that glory of the city as, “The rakshasa Bali having in his time dwelt in this kshetra, made gifts and in the course of manvantaras been considered as Indra himself, I literally knows not how to praise the greatness of Balipura”. Hearing this, the maha-mandaleshvara with other townsmen made certain donations. Among the attendants, mention is made of the priest of the Pancha-matha, Hiriya-matha, Muliga Dharmamasiva-deva and the priest of the Pancha-linga, Rudrasakti-deva, the priest of Tripurantaka, Jnanasakti-deva. Also were present all champions who were involved in defeating Vijayaditya and taking tribute from him, also who were involved in fight with Hoysala vira-Ballala-deva. As per the grants, the arrangement was made that the properties of those who die without sons in nagara will get attached to the temple to god Nagareshvara. Similar properties in all the five mathas, the three puras, and the seven brahmapuris, all the unclaimed properties will get attached to god Garveshvara. On a third virakal near Tripurantaka temple – Epigraphia Carnatica, vol VII, no 144 of Shikarpur – dated 1181 CE – refers to the reign of the Kalachuri king Ahavamalla – the great minister Kesimayya-dandanayaka, protecting Banavasi-12000, was in the royal city of Balligramme. One day on his order, Ketamalla-nayaka and others to the battle of Mayile, killed many and attained the world of gods. On a stone in Jakkavvana matti – Epigraphia Carnatica, vol VII, no 168 of Shikarpur – dated in the eleventh regnal year if the Hoysala king Ballala II, corresponding 1182 CE – Chandi-setti of the royal city of Balligrame made a grant of land for the god Ammesvara, washing the feet of the accharya of Bherundesvara, Muliga-Padasiva-deva. On a fourth stone to the north of the gateway of Vanakehondada Basappa’s temple – Epigraphia Carnatica, vol VII, no 159 of Shikarpur – dated in eighth regnal year of the Kalachuri king Ahavamalla, corresponding 1183 CE – Virana’s younger brother Podaleya having gone to boar hunt, showed great bravery, pierced it and gained the world of god. On a fourth virakal near Tripurantaka temple – Epigraphia Carnatica, vol VII, no 145 of Shikarpur – dated 1184 CE – refers to the reign of the Hoysala king Ballala II – great minister Goparasa-dandanayaka, protecting Balligrame, other parts are effaced. On a virakal in the gateway of the Kashi-matha – Epigraphia Carnatica, vol VII, no 148 of Shikarpur – dated to the sixteenth regnal year of the Hoysala king Ballala II, corresponding 1186 CE – praise to the Jina sasana. Praise of Padmiyakka, who through the rites of Samadhi attained the other world. Pattana-swami Mali-setti’s wife Padmauve, of her own free will, entering the tomb, gained svarga. On a second virakal near Tripurantaka temple – Epigraphia Carnatica, vol VII, no 143 of Shikarpur – dated in seventeenth regnal year of the Hoysala king Ballala II, corresponding 1186 CE – Nagi-setti, who was in Balligame, fighting with the raiders in Ketanahalli, and killing many, gained the world of gods. On the thirteenth stone in the enclosure of Kedareshvara Temple – Epigraphia Carnatica, vol VII, no 105 of Shikarpur – dated 1193 CE – refers to the reign of the Hoysala king Ballala II – Maharajadhiraja parameshvara parama-bhattaraka, glory to the Yadava-kula, ornament of the Hoysalas, the pratapa chakravarti vira-Ballala-deva’s descent is as follows: First in the line was vira-Ballala, whose brother was Vishnuvardhana, whose son was Nrisimha. To him was born Ballala. Among the fame of this king mention of Chola, Pandya, Vanga, kalinga, Magadha, Lala, Andhra, Gaula, Konkana, Nepala, Malava was made. His minister was Eraga-dandarat who was ruling the joint kingdom of Banavasi-12000 and Santalige-1000. During a discourse at the royal city (rajadhani) Balipura, at the temple of Kedara mention of its Acharya rajaguru Vamasakti-deva made. His descent is from Gautama of Parvvatvali. When the emperor Ballala-deva, having made an expedition of victory to north, was in the residence of Lokkigundi, a dweller at his lotus feet, the great minister Ereyanna came to worship the god Dakshina Kedareshvara of Balipura, the royal city of Banavasi-12000. He made donations for perpetual lamp, offerings to god, food to ascetics and repairs to temple. On another stone near Sitekola – Epigraphia Carnatica, vol VII, no 138 of Shikarpur – dated 1194 CE – refers to the reign of the Hoysala king Ballala II – Hoysala genealogy is provided, started with Sala, then Vishnu, then Narasimha, and his son vira-Ballala. A dweller at his lotus feet was Chavana-senapati. His son was Padmi-deva. Padmi-deva is said to be ruling over Banavasi-12000 and had set up a camp at Balipura. He was engaged in daily worship of the god Agnisvara set up by Agni. Mention is made of Devasiva, son of Vamasiva, who was a disciple of Kumarasiva-deva. Padmi-deva made some grants to god Agnisvara of Agnisvara temple in presence of Devasiva. On the fourth pillar of Kedareshvara Temple – Epigraphia Carnatica, vol VII, no 88 of Shikarpur – dated about 1200 CE – the nal-prabhu, the Nandinagara nad-ganda erected this pillar in the mantapa of god Kedara with ornamentation. On the beam of the western doorway of the verandah of Kedareshvara Temple – Epigraphia Carnatica, vol VII, no 89 of Shikarpur – dated about 1200 CE – the great minister Birayya-dandanayaka made the southern face secure, with ornamentation. On a virakal to the north of the gateway of Vanakehondada Basappa’s temple – Epigraphia Carnatica, vol VII, no 156 of Shikarpur – dated twenty-eighth regnal year of the Hoysala king Ballala II, corresponding 1202 CE – Agiya-Bommayya’s son Sirinnara, when burning was reduced, joining the dannayaka, on his giving battle at Baniyur, piercing through, gained the world of gods. On a stone near the steps of a pond – Epigraphia Carnatica, vol VII, no 113 of Shikarpur – dated in the thirteenth regnal year of the Hoysala (Yadava) Ballala , corresponding 1203 CE – Amritachandra-bhattaraka’s lay-disciple Kesava-setti’s son Madaiyya, expired with Samadhi-rites and gained the world of gods. On a stone set up near Kasi matha – Report of the Mysore Archaeological Department for the year 1929 – dated the thirteenth regnal year of the Hoysala king Ballala II, corresponding 1206 CE – the death of a Jain woman named Jakauve, disciple of Kamalasena by the rite of samadhi is recorded in this inscription. On the fifth stone in the enclosure of Kedareshvara temple – Epigraphia Carnatica, vol VII, no 95 of Shikarpur – dated 1215 CE – refers to the reign of the Yadava (Seuna) king Singhana II – The king is mentioned as the boon lord of Dvaravati-pura with titles maharajadhiraja, parameshvara, param-bhattaraka, the goad to elephant Gurjara, masher of the Malava woman, crusher of the head of the Telunga king. His great minister was Raya-nayaka-Narayana Mayideva-pandita. Another minister or sarvadhikari was Hemayya-Nayaka. His wife was Ruppabayi. The couple came to Baligave whose chief god was the southern Kedareshvara. The priest of the temple was Vamashakti, the disciple of Srikanta-deva. The couple made grants for perpetual lamp and offerings to the god. On a virakal near Tripurantaka temple – Epigraphia Carnatica, vol VII, no 142 of Shikarpur – dated 1220 CE – The great minister Ereyana-danaka marching against Singi-deva, fought, Tippu-bova of the Tripurantaka doorway, killed many and gained the world of gods. On virakal on the bund of pond of Hosa-matha – Epigraphia Carnatica, vol VII, no 140 of Shikarpur – dated fourteenth regnal year of the Yadava (Seuna) king Ramachandra, corresponding 1281 CE – Madi-setti of Balligrame besieged Kuppe and fought – the heroic Mayideva fought and attained svarga. On a viragal to the left of the Someshvara temple – Epigraphia Carnatica, vol VII, no 122 of Shikarpur – dated to the fourteenth regnal year of the Yadava (Seuna) king Ramachandra, corresponding 1284 CE – It is told that maha-prabhu Dayiga-chen… laid siege to the energetic warrior Madi-Setti’s kuppe and fought in Alamele, making his elephant fall down, slew him and gained the world of gods. On a stone on the bund of pond of Hosa-matha – Epigraphia Carnatica, vol VII, no 141 of Shikarpur – dated sixteenth regnal year of the Yadava (Seuna) king Ramachandra, corresponding 1286 CE – Ganesvara and his wife Bommayi, together in conjugal affection, entered the fire on the field of battle and gained svarga. On a fragmentary stone in front of the house of Hadappa Channabasapp – Report of the Mysore Archaeological Department for the year 1929 – dated to the twenty-fifth regnal year of the Yadava king Ramachandra, corresponding 1294 CE – The object of the record is to register the gift of the office of heggadike (management) of Bherundasvami temple in Balligave (Belagami) made to Vaidya Dasanna by Devarasa along with the Pattanasvami (the chief of the city) and the heads of the five mathas and the chief inhabitants. A plot of land situated in the estate belonging to a Jain temple named Prathamasena-basadi was also given away along with the land. On the pedestal of Kalikadevi image in the temple of Kalamma on the tank bund of Jiddekere – Report of the Mysore Archaeological Department for the year 1929 – dated to 13th century CE on the basis of paleography – This inscription registers the grant of some land made apparently for the worship of the goddess by the artisans Katakada Masana (setti) and Yemmeyasetti of Balligavi and others assembled in a meeting. They were described as the masters of five metals (gold, silver, copper, iron and tin). On the door-frame of garbhagriha of Kalamma temple – Report of the Mysore Archaeological Department for the year 1929 – dated to 13th century CE on the basis of paleography – It registers the gift of a rice-field situated to the right of the road leading to Kalikadevi temple in Balligave made for service of daily worship and food offerings in the temple. The names of the donors are lost but they are praised as experts in five metals and defenders of the city. 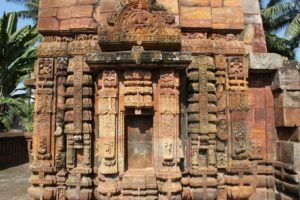 It also states that Maroja, brazier of Balligave built the temple of Kalikadevi in stone and looked after the maintenance of the grant. On a pillar in the verandah of the Somesvara temple – Report of the Mysore Archaeological Department for the year 1929 – dated ninth regnal year of the Hoysala king Ballala III, corresponding 1319 CE – for the eightfold worship of the god Mallikamoda-santinatha in the Hiriya Basadi of the capital city Balligrame, while Malliyana-dandanayaka was ruling Nagarakhanda-70 & Jiddulige-70, Heggade Siriyanna, the officer of the city, Chavundaraya, officer of Hejjunka (major custom dues), & Somayya and Malaveggade, all these remitted their custom dues on 20 bullocks, for Padmanandi-deva, preceptor of Siriyanna with pouring water at his feet. On the third stone in the enclosure of Kedareshvara Temple – Epigraphia Carnatica, vol VII, no 93 of Shikarpur – dated 1422 CE – refers to the reign of the Vijayanagara King Vira Vijaya Bukka Raya – Vijaya-raya is said to be the son of maharajadhiraja raja-parameshvara vira-Pratapa Deva-Raya. The king is said to be in his residence at Hastinavati. The Acharya of gods Siddheshvara and Pacheshvara, the principal ones of Kudigere in Kodanad, was Bulli-deva. He was said to be the moon of Gautamanvaya, and son of Bommi-deva. He was ever devoted to his jangama and a master of paramshiva agamikas. On the date specified, Bullideva went to the world of gods. His three wives, Chenna Bullaya, Bichale and the tall Madhukanya gave his body to this tomb. On a stone set up to the north of the wet land belonging to Udugani Siddappa – Report of the Mysore Archaeological Department for the year 1929 – dated Saka 1645, corresponding 1724 CE – This records the plantation of a mango grove as an act of charity by a person named Garejada Santappa. On a stone in Gurupadappa’s field – Epigraphia Carnatica, vol VII, no 167 of Shikarpur – dated 1731 CE – grant of Garaji Santa-Odeyar’s mango grove and house. On the first stone in the enclosure of Kedareshvara Temple – Epigraphia Carnatica, vol VII, no 91 of Shikarpur – dated 1885 CE – on 24th December, 1885, at sunrise, the great Chama-Raja-Vader of Mysore visited Belagavi in order to see the Kedareshvara and other temples and was greatly pleased. It appears that he will make arrangements for appointing servants for the god and for repairing the temple. The Balligavi patel Kallumani Garjina Channapaiya set up this. Written by Garjina Gurupadappa. On the pedestal of a Jain image in front of the Samayachara Matha – Report of the Mysore Archaeological Department for the year 1929 – much effaced, it seems to refer to a Jain guru who is described here as a sun to the Eastern mountain. Annual Report of the Mysore Archaeological Department for the year 1911. University of Mysore. Annual Report of the Mysore Archaeological Department for the year 1929. University of Mysore. Annual Report of the Mysore Archaeological Department for the year 1931. University of Mysore. Annual Report of the Mysore Archaeological Department for the year 1941. University of Mysore. Epigraphia Carnatica, vol VII (Shimoga). Rice, B L (1897). Mysore: A Gazetteer Compiled for Government. Archibald Constable and Company. Westminster. Rao, Hayavadana C (1930). Mysore Gazetteer vol II. The Government Press. Bangalore. Bhat, H R Raghunath (1996). Some Aspects of Art and Architecture of Balligave: Kalyana Chalukya Phase published in Art and Architecture in Karnataka. Directorate of Archaeology & Museums. Mysore.